Honors College Students are required to participate in extra-curricular activities as designated by the Honors College Standing Committee. Students must participate in or plan at least two activities each semester. 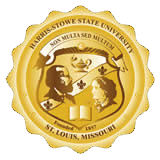 The events planned are not limited to Honors Students, other Harris Stowe State students may participate as well.